← On the first date – Really? MLK was an extremely charismatic leader who led and helped not only people of a certain race or generation, but he those of other races and future generations. Of course, at the time, there were people who did not know they were being helped, but he knew that the outcome would be beneficial to all people. No matter what anyone thinks of him, all should agree that we are better off for his calm leadership and that he had an internal strength that many of us do not have. It’s difficult to know if I would be willing to endure incarceration for my beliefs. I like to think I would, but would I? 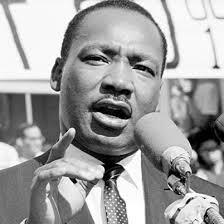 I believe to have a dream is important for everything in life. To carry a vision and continue to work for it, like MLK did. MLK paved the way for so many people, not just from a racial standpoint. He inspired so many people to go out there and go after their dream, and not let anyone stop them from getting what they want. Martin Luther King, born Michael King, received a great deal of credit for his work in the civil rights movement, but in his own time he was quite controversial, not just because of his views on race, which were considered radical at the time, but for many other reasons as well. For instance, he was suspected to have plagiarised part of his doctoral dissertation, and was suspected to have had bizzare sexual encounters with younger women. Whether this is true or not is difficult to say, but it does go to show that even our greatest heroes had their flaws. He was such an incredible man. It’s a great loss, even after all these years! This is a great read. And a wonderful thing that YOU put out into the world! Thanks, Candess.